History repeats in Selena Gomez's cinematic, complex 'Back To You' video. “Taki Taki” is on the way! 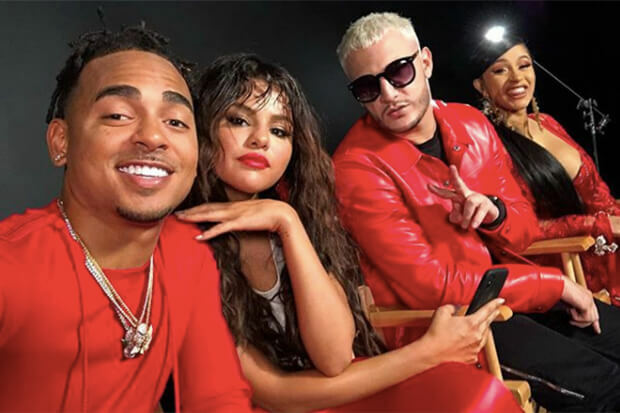 Anticipation has been sky-high since French producer DJ Snake revealed he collaborated with Selena Gomez, Cardi B and Ozuna on a song called “Taki Taki” last month. He promised it would be the “biggest record in the world,” and now it has a release date. Moments ago, he and Selena took to Instagram to announce the simmering hit is set to arrive next Friday (September 28). They also rolled out the single cover, which features a stylized volcano in the midst of erupting. Fans can pre-save the track on Spotify here. Although we don’t know much about “Taki Taki” just yet, the quartet have shared some details. For starters, it turns out that the “Bad Liar” siren will sing in both English and Spanish on the track. She will also show off some slick choreography in the accompanying video. There should also be a volcano in the visual. However, it is unclear if it will drop alongside the single, or if the group will hold it back until a later date. Encouraging fans to “drink some water,” DJ Snake made it very clear that the anthem is going to be a banger. Hopefully they will drop a teaser soon because I am ready for a taste! In the meantime check out the single cover below!